Grow your STEEM POWER by giving away the things you no longer need. #SteemFleaMarket utilizes the power of not only the STEEM blockchain but also the power of our community. Use the power of STEEM blockchain + @steemfleamarket as the storefront for our very own, native FLEA MARKET. Give away your stuff and make everyone benefit using our equal wealth distribution solution. Anyone who engages with #steemfleamarket earns a percentage of the reward pool. Prices set for products are SIGNIFICANTLY lower than any other second-hand offerings on other systems such as eBay and Amazon. We have an abundance of people with creative mind sets who can make a real change in the world with the right tools at their disposal that @steemfleamarket can give them. Bear with me for a moment. Steem Flea Market is not just a place to buy and sell for SBD. It's a place where volunatryism is at the center of the economy. Giving is healing and our goal is to enable people to give freely and by doing so, grow our steemit economy in a meaningful way. Using STEEM as a means to feed our families. Holding STEEM and SBD is rewarding in a number of ways. But to fully benefit from its power, in the future, and now, we need marketplaces. Sources of incentives to trade our STEEM and SBD internally. With an initiative such as #SteemFleaMarket people have a real incentive to use the power of their up-votes or trade SBD for real goods and services, knowing that there will be others interested in the exchange. The creation of marketplaces such as our @steemfleamarket is incentivizing us all to keep our SBD inside the STEEM blockchain and grow our up-vote strength so can help grow this platform into a powerful source of income. Users of STEEMit Participating in different markets around the STEEM blockchain (there are a few following in our footsteps) can use our system of equal wealth distribution just by bidding on the item they are trying to secure. How are we different from those who have followed this idea on steemit but are strictly in the buy/sell facilitation business? One sentence: Upvote Lottery Style Give Away If The Upvote Meets The Minimum. With the power of steem anyone can give anything away. What does this mean? It means that the item you want to give away has a minimum target price you want to reach in up-votes so you cover the initial costs you paid out of your pocket for the stuff you're giving away. In turn this means that curation guilds and users can upvote #SteemFleaMarket and almost always allow for successful raising of number of upvotes to make any giveaway possible. 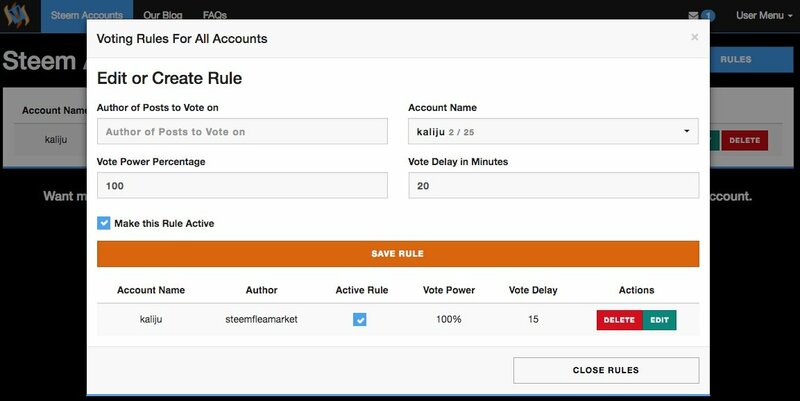 The other flexible feature of Steem Flea Market is that users could list as an auction where they could set a minimum upvote plus set a min auction amount. Highest bidder wins after 7 days. The benefit to this approach to listing your stuff with #SteemFleaMarket is that it would be harder to scam the system because several people would be bidding. Of Course, since actual SBD would exchange hands there needs to be a clearing house and that would be @steemfleamarket This is the optimal way to ensure that everything is contained within certain parameters of security and accountability when using such blockchain-based markets. Circular flow of steemconomy: Flowing goods and services through the STEEM blockchain. We have two things happening here. One, is injection of money into the STEEM eco-system and two, leakage of money out of the STEEM ecosystem. Goods and services flow in one direction and money flows the other way. This economic relationship is an important motivator behind #SteemFleaMarket. Suppose steemit is a sort of a banking system and curators' up-votes are the lending money. Content creators/steemians/borrowers of "up-votes" use the rewards to buy goods and services through #SteemFleaMarket, which then creates an injection of that money to go back into the circular flow of the STEEM economy. If you had to pay taxes on steemit, then this would create leakage - however we are interested more in spending our SBD and STEEM right here to inject it back into the circular flow of the STEEM economy. When you "export" or give away something through #SteemFleaMarket - you are injecting, earning income from upvotes for the goods or services that you give away. I read something about @ned mentioning circular markets but so far, it has only been the community that took action and started to create these markets organically, without outside influence or sponsorship/delegation. Because the time is now and the place is here. When @binkley and I started brainstorming #SteemFleaMarket - no one showed us any signs of doing anything similar. I announced the project through Utopian.io and saw the feedback from people. There wasn't a single negative comment and people jumped on board using #steemfleamarket the same day and with great success. There are similar (but not anywhere near the same!) markets such as #kr-market @classifieds @steembay and a bunch of others. Some were created before us (#kr-market) and some right after (@steembay). It makes me happy to realize that perhaps this is what @ned was referring to when he said that he wanted to see circular markets happen on his STEEM blockchain. The more the merrier and no one is in a direct competition with us. Today, steemians have options like never before to accommodate their specific needs and wishes with services like @steemfleamarket. The Community owns #steemfleamarket - they can choose to kill it or heal it. Currently @binkley is the main developer backing #SteemFleaMarket helping create a storefront where users will be able to browse and bid on goods and services through SteemThat.com He already has identified some of the potential issues and continues to work on solutions to further make #SteemFleaMarket the best hashtag and @steemfleamarket marketplace to sell, give away, and trade your goods and services. It would be nice to have a bot monitor a hashtag such as #steemfleamarket and do the rest. However there's a big PROBLEM with using such a bot, in example, that if someone decides to use #steemfleamarket just because they see it available to use as a hashtag but not for the purpose of selling or giving anything away. Such approach could and WILL create clutter on steemit.com and turn this place into a dump. 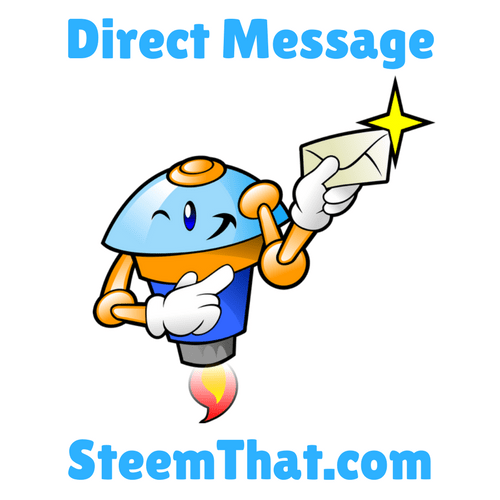 We propose to aggregate all posts through @steemfleamarket where everyone who is serious about using the service can post their stuff up for giveaway/sale on @steemfleamarket and eliminate the inconvenience of having these offers clutter people's blog rolls and steemit.com in general. We will issue a posting key to people whose accounts are in good standing so anyone can post with that key exclusively to @steemfleamarket and people can follow this account to stay updated on the latest offers. This account will be monitored and organized into categories a la Craigslist on steemthat.com for your convenience. SteemThat integration will also have a private messaging service where users can negotiate details like shipping address and costs of shipping. This is something that our competitors here on the steem blockchain cannot offer: privacy and private communications. Users have a choice and multiple styles of placing offers available to them. First is the "Upvote Lottery Style Give Away If The Up-vote Meets The Minimum" offering style which we will simply call "UPVOTE GIVEAWAY." This means that a user sets the target price to reach and it's the community that ends up giving away the item, philosophically speaking, essentially covering the original poster's expense on that very item he's giving away by giving away their up-votes in the name of steem, freedom and good cause. The third style is a direct sale. Meaning people will post to @steemfleamarket and leave [FOR SALE] in their title and set the price in SBD. We expect too see many interesting things start showing up using this method. This is a direct your SBD for my goods or services method - all easy to find and uses the steem powered blockchain to perform lighting-fast transactions. The security afforded by having one account for all to post their offerings is the first of it's kind. And the fourth style of a post concerns a trade offer. A classic now available on the block chain :) People can trade goods and services with #SteemFleaMarket and again, use SteemThat.com integration for private chats and detail negotiation after the sale. What sets #STEEMFLEAMARKET apart from other circular markets? Everyone who participates and comments on a give-away will receive a percentage of the total payout generate by the post. 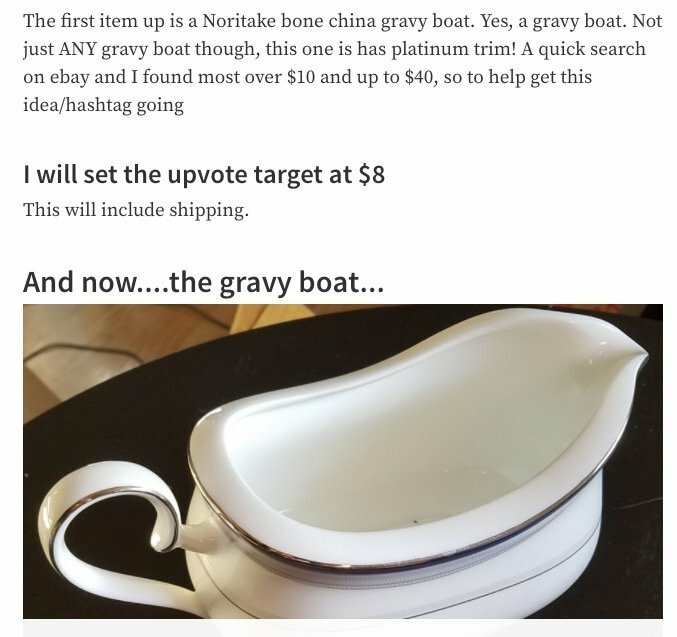 For example, I wanted to give away my camera, but the community decided not to include @steemfleamarket to their curation guild ;) and my post didn't generate enough up-votes to cover the initial cost of the camera that I paid out of my pocket - but the post did reach say $10 - what happens then? Well according to our model, our bot will select 20 random people with worthy comments and pay out 5% to these 20 random people. And if it's only 3 people that bothered to show interest in the item, then each one of them will receive 30% deducted from the total payout. Neat. This is exactly what steemit is all about - supporting each other as outlined in the whitepaper. This is our equal wealth distribution solution that we talked about in the beginning. And the curators who use their big up-votes on any of the #SteemFleaMarket post? They get a loyal following and people remember acts of kindness. It's bigger than us. We all benefit. Bidding is not necessary. Bot selects winner at random. The system is not prejudiced and has no favorites. All winners are random people empowered by the community of steemit. Based on users reputation and trust in the community, using @steemfleamarket as a clearing house ensures no miscommunication occurs between parties and human error is kept to a minimum. Full catalog of items will be available on SteemThat.com/steem-flea-market and most posts contained within @steemfleamarket to keep steemit.com clean and sorting issues at bay until better solutions are developed. Members can use SteemThat.com to fill out a special form with Item Description, Details, Select country (shipping), set the price target and designate wherether their post is UPVOTE-GIVEAWAY, DIRECT BUY/SELL, TRADE, or AUCTION. This ensures that all posts will have a standard layout with all the necessary information available to fill through a simple form that will then be posted to @steemfleamarket on your behalf. Private chat through SteemThat integration. Everything is wide open on the blockchain. How can we enable bids be hidden from everyone to see? direct message the seller. Your up-vote and a quick resteem will help this post drastically. If you like the idea, please resteem so others can start using the #STEEMFLEAMARKET service and keep your eye out on some amazing things people will start giving away and/or selling. We already have a sony camera up for grabs here! Great post and an incredible idea! A place to buy, sell, trade or just simply to "give away!" Many proceeds going to feed the many less fortunate in this world where many have more than what they need and bigger numbers do not. This is something that should be supported by all and used by many as this idea should be a part of the loving fabric of humanity and life. If this were so, we'd all would be better off in many more ways than one. Supported. Enjoyed. This is pretty big. Everyone involved is doing such an amazing (and extensive) job, I am proud! This can only grow the platform. Awesome work! Great Idea and well thought out. Looking forward to my first purchase!!! I personally think more services like this need to be available ! This is a very good development. Givers never lack. When you give and never expect anything in return, reward will surely come. Very well thought out, thanks for taking the time for this. Love these things that add value to STEEM. This looks like a great idea. We all accumulate way more "stuff" than we want to keep. Thanks for sharing! Interesting concept and most generous gift. Every day there is more new and interesting things to explore on steemit. Thanks for your contribution. I knew people are crazy innovators (in a good way). You guys are awesome to start things like this. Amazing!! I really can't wait to see all the awesome things that will happen with Steem! @kaliju has a great idea, and gets some community support, maybe even tests it on a small scale like I'm doing. Then gets some funding from the community to build it. This will put many people to work on the Steem Blockchain and cause a fury of people to get creative and increase what the Steem Block Chain has to offer the world! Your original idea can help someone that really needs something. People could even Upvote the comment of the person they want to receive the Item based on their comment. That would allow people to help others who are not interested in the item for themselves. That also would utilize the confines of the existing platform we are trying to run on. The concept of a community pool for the purpose of helping someone in need is central to the Steemit mission I think. SUPER COOL IDEA! Thanks for being an innovator on Steemit! It will definitely help the aspiring steemitians to fulfill their dreams. What a great idea! Resteemed for my followers! I will be giving away some stuff soon! Thank you! This is a great idea! Good luck dude! 🍀 It might be cool to have a "buy it now" feature. So, if someone just wants to pay for the whole thing, they can do it immediately. That sounds like an awesome idea. I have some inexpensive crystals that I sell and this would be an awesome way to give them out. Under $10 shouldn't be hard to raise. Thanks for thinking of new ways to make steemit better. Just ran across an AWESOME post/idea HERE from @kaliju and I'm going to give it a shot. It is a good idea, and I've been on a tear with eBay lately so I was locked and loaded with this thing. I've got lots of other stuff too but want to see how it goes. I think the idea of a #steemfleamarket-philippines is a great idea and I believe over time, it can evolve into something really unique and functional. I believe it is a novel concept which will need to be carefully considered. I see it being potentially a great thing for honest people with needs but obviously may be corrupted by those with greed. This looks like a great idea. Definitely going to stop by and check out some goods. Great work. This looks like a good initiative. Going to read this more thoroughly to learn about the #steemfleamarket. I've got a lot of junk to give away/sell. This seems like a great idea will read again and start thinking as we all have stuff we want to sell.